If you are unsatisfied with the appearance of your smile, there can be significant effects to your daily life, sometimes including your self-esteem. With the ultra-thin option of Lumineers®, our Sherman Oaks entist can provide a solution to noticeably improve the look of the smile, evening out spaces and covering imperfections. It is our mission to aid patients and give them the opportunity to renew their smile, and give back a sense of self-pride. At Green Dental & Orthodontics, we offer this minimal preparation option to help replenish the brilliance of our patients’ dentition. Green Dental & Orthodontics can recommend Lumineers® as the appropriate solution for patients whose previous dental work has left their teeth looking unsightly. Over time, crowns, inlays, onlays, and fillings can wear down and collect stains, contributing to an unnatural appearance. As long as these restorations still function, our Sherman Oaks dentist can use Lumineers® to return appeal to your dentition. 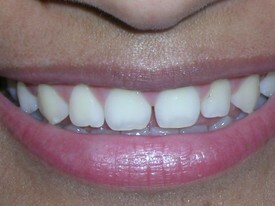 Lumineers® are prep-less veneers, requiring minimal preparation by our dentist before placement. Our patients deserve to have Lumineers® fashioned to suit their unique smile, even down to the correct shade. Within just two appointments, patients receive an initial examination where our doctor listens to the concerns and desires of the patient, and then impressions are taken which will be used to fashion the veneers. During the initial examination, Green Dental and Orthodontics will look for infection and decay to ensure the teeth are healthy. If Lumineers® are placed over unhealthy teeth, the effects of bacteria and decay can become exponentially worse. 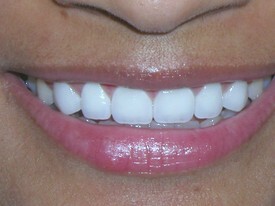 When the custom veneers are ready, patients will return to the dentist to have them placed. Using a professional-grade dental adhesive, our dentist will carefully attach Lumineers® to the corresponding teeth. While bonded securely, patients can feel at ease knowing that Green Dental & Orthodontics can remove and replace Lumineers® should damage occur from an accident or typical wear and tear from daily use. This process is straightforward and can be done without significant impact to existing dental health. Our dentist is experienced in providing Lumineers® to help patients restore brilliance and the confidence they have in their smiles. It is our passion to help patients feel free to laugh, smile, and speak without any fear. Call our Sherman Oaks practice today to schedule a consultation.